Raana Horan has been the find of the Brian Green Property Group New Zealand Rally Championship so far this season and he has received the backing of one of the most astute rallying minds in the country. Three-time national champion Neil Allport is not one to hand out praise lightly but he is convinced Horan is a future star. The Aucklander has a background as a successful off-road racer but turned his hand to rallying when he made his NZRC debut at Rally New Zealand late last year. 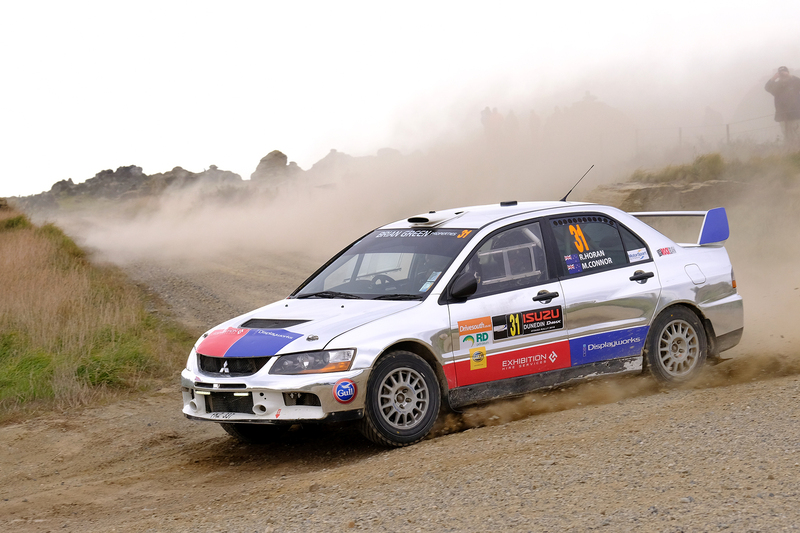 He secured an eye-catching performance at Rally Otago in April before going close to a stunning win at Lone Star Rally Canterbury a couple of weeks ago. In that short space of time Allport has seen enough to be excited about his future. The pair have forged a working relationship and even those dealings have impressed Allport. “Our association extends to me prepping the car for Canterbury for him and a bit of advice for a couple events before that,” Allport explained. “For a guy who is new in the sport – it was just his fourth event – very, very good. The way he has approached all the events he has done has been very good. He thinks about what is going on. “The thing that impresses me most about him is you can have a conversation about the car and making a change and this is what you would expect to get back from it and he just listens and he knows exactly what you are talking about. Having now gone close to winning an event it could be easy for Horan to shift his focus but Allport is convinced that won’t happen. He believes Horan will stick to his plan for the rest of 2018. “I think it is just experience and knowledge,” Allport said. “He definitely thinks about what he is doing and what he is going to do. Horan has openly admitted to thinking about moving into a more modern car. He is of the opinion that should he have a crack at winning the NZRC title he would need a new generation car. “What he needs now is a bit of infrastructure around him; he needs a car under him and to get all his ducks in a row,” Allport added.